Age of Ascent team in Royal encounter! 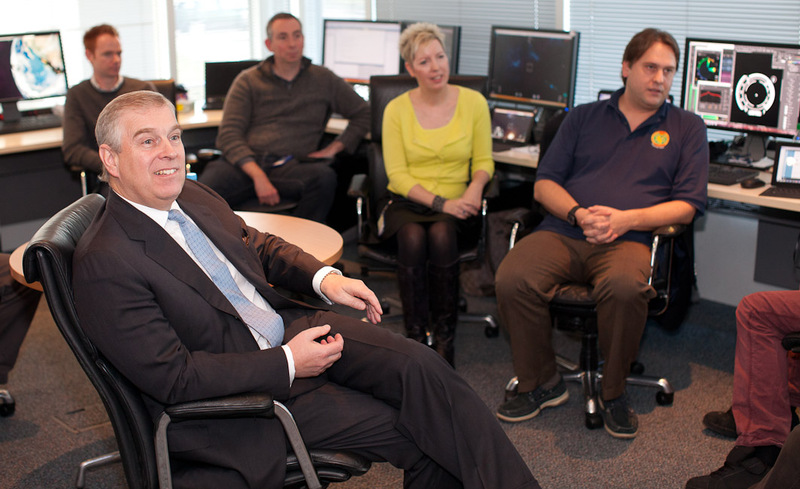 We had the distinct pleasure of meeting His Royal Highness the Duke of York during our development process! 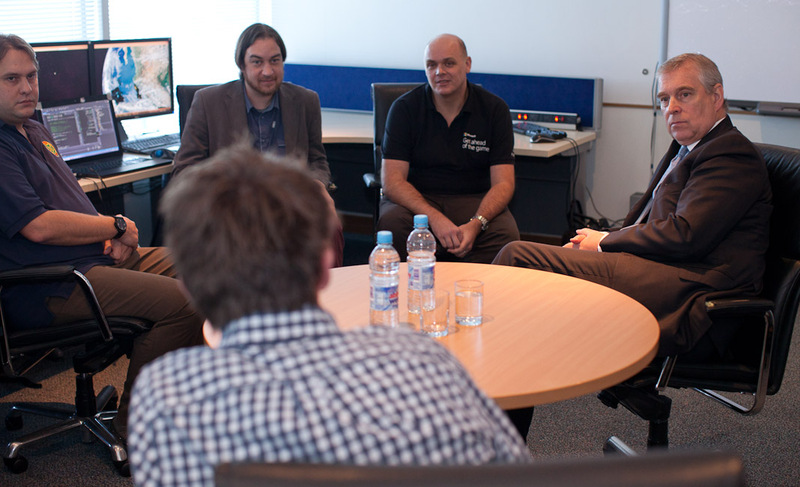 Microsoft invited Illyriad CEO James Niesewand to present our plans for Age of Ascent to HRH Prince Andrew during his visit to their UK headquarters in December. 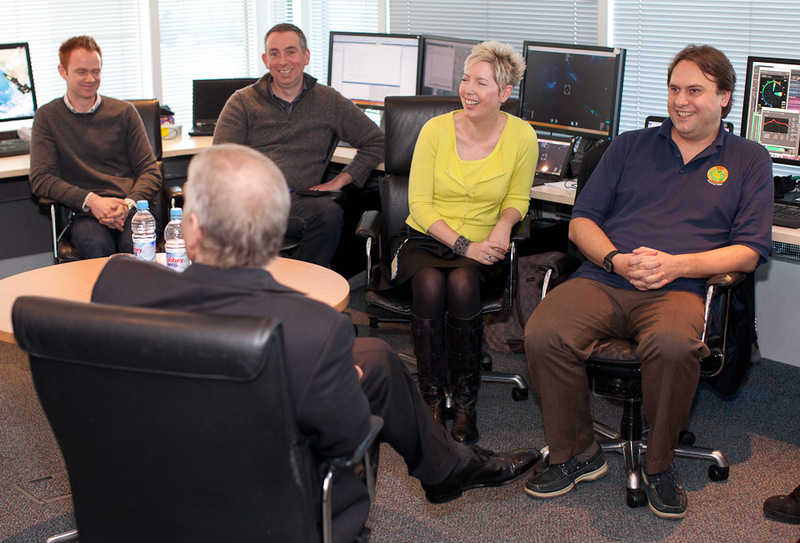 Whilst we would be hard pressed to describe HRH as an avid gamer, his professional expertise as a Royal Navy pilot meant he could provide us with a detailed user analysis of our proposed new HUD! We also had an exceptionally interesting conversation about alliance/clan management and governance within more detailed MMO gameworlds. 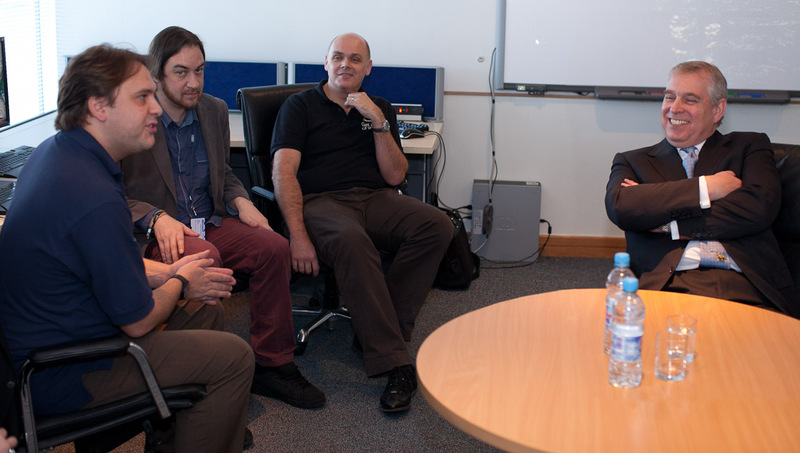 HRH has extensive connections with UK Science & Technology, and has very kindly introduced us to the Rutherford Appleton Laboratories’ (RAL) Space division. We’ve subsequently met with the Director of RAL Space, Prof Richard Holdaway, and a number of his senior colleagues who are being extremely helpful in providing useful answers (and directing us to other sources of answers in space agencies around the world) to a multitude of questions we have about topics as diverse as astrometrics, astrophysics, metamaterial sciences and the unique challenges of space engineering.